With more than 400 different species of cloud forest plants from all over the world, The Spheres are an extensive collection of biodiversity that explores the value of conservation in an urban environment. Plants range from tiny epiphytes that cling to a 50-foot living wall to Rubi, a 49-year-old ficus tree that resides in the 7th Avenue sphere. To support the level of biodiversity in The Spheres, the Amazon horticulture team works behind-the-scenes in a nearby greenhouse in Woodinville, WA. Plants routinely rotate between The Spheres and the greenhouses throughout the seasons. Like The Spheres, this greenhouse is filled with cloud forest species from around the world, from tiny begonias and orchids to large tree ferns and aloes. 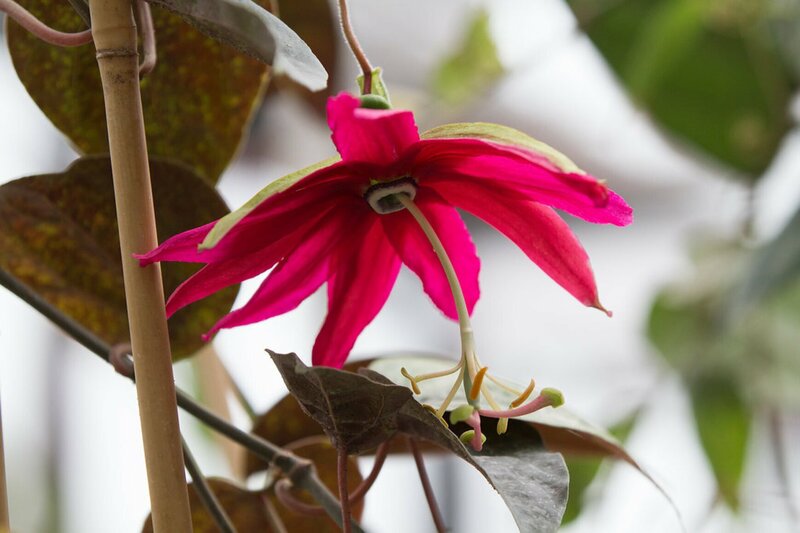 Explore some of the greenhouse plants in the gallery below. 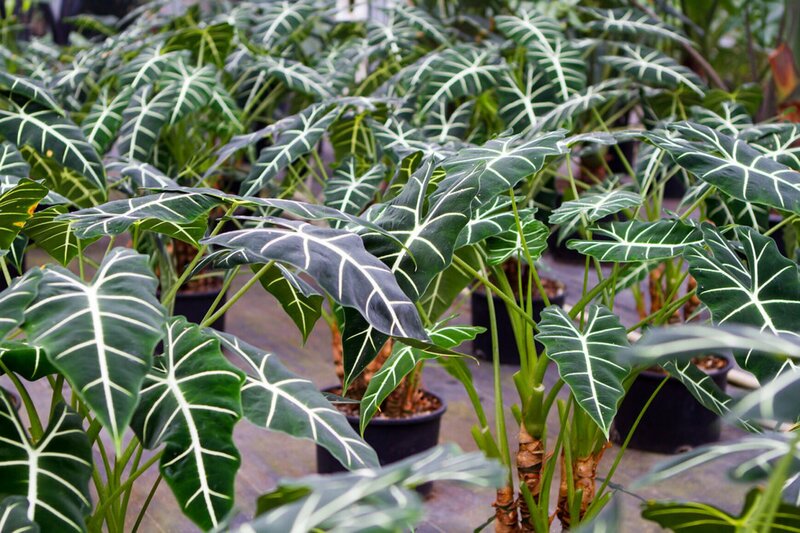 Known as Alocasia micholitziana, this plant is in the same family as the taro root. These plants have to be properly prepared before consumption. Platycerium ridleyi is commonly referred to as the staghorn fern because of its resemblance to antlers. This epiphytic fern consists of two fronds. The shield frond attaches to a tree and the fertile frond contains spores. 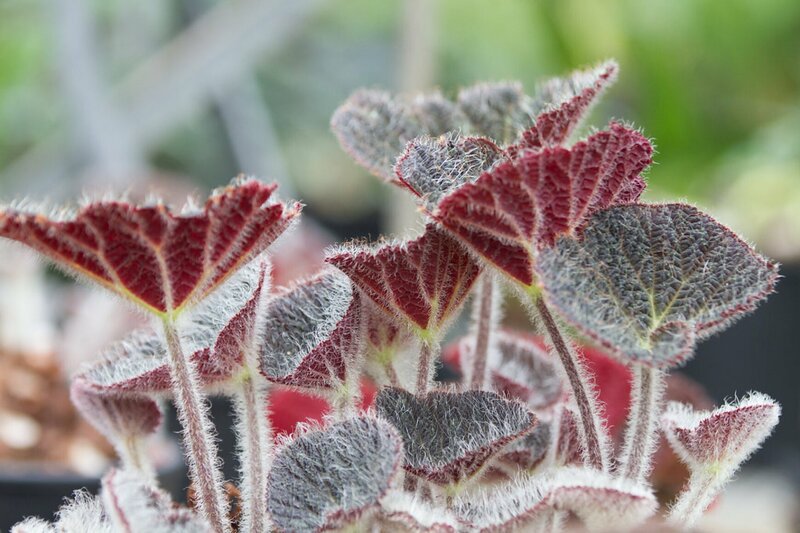 Native to North Vietnam, Begonia sizemoreae is known for its unusual foliage. The tops of the leaves are green and are covered in tiny white hairs. The undersides of the leaves and the stems are bright maroon. Passiflora antioquiensis hails from Columbia. Fruit from this species is edible but is more tart than its relative– the passionfruit. 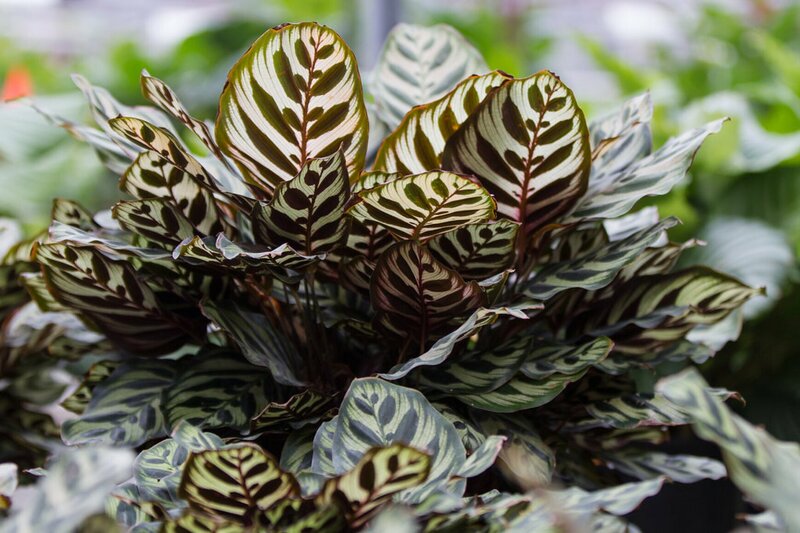 Sometimes referred to as the peacock plant, Calathea makoyana is native to Brazil. This plant is in the arrowroot family and is often used in ornamental displays. 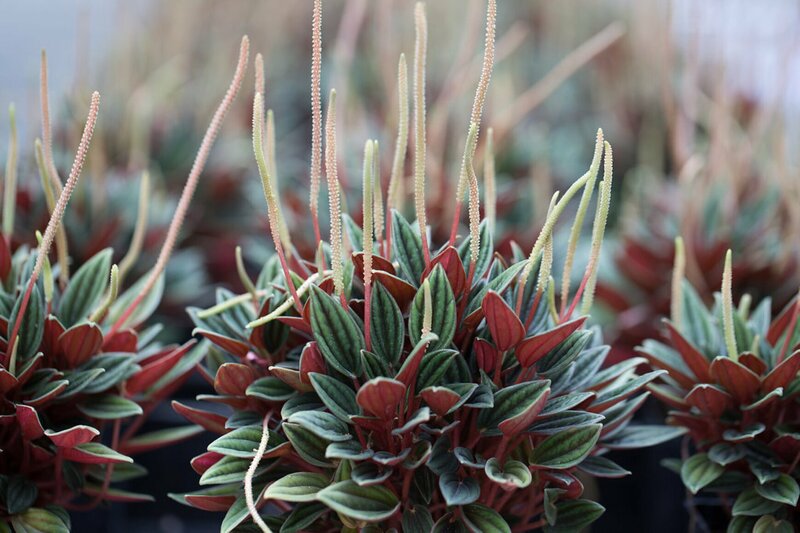 Related to pepper, Peperomia caperata can typically be found growing on the forest floor in the Brazilian tropics. 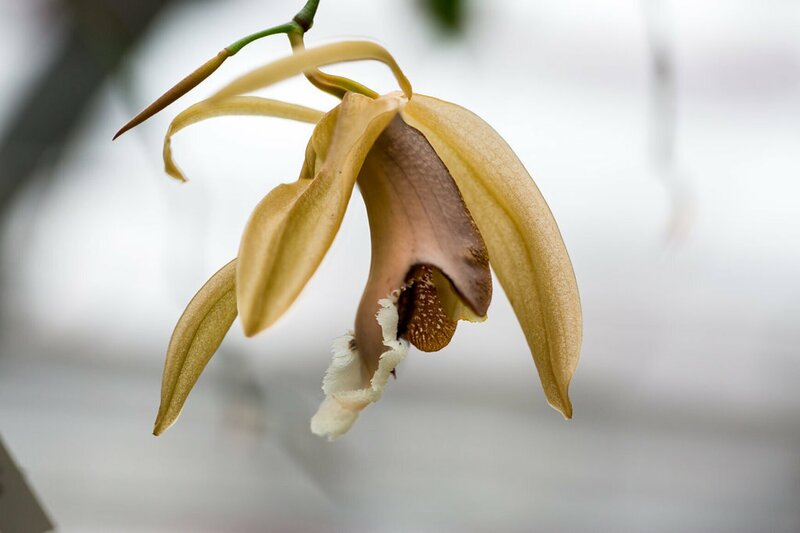 Known as Coelogyne speciosa, this species of orchid is native to Malaysia, Sumatra, Java, and Borneo. Some species of Coelogyne are used in herbal medicine. The plants in The Spheres are organized into a number of collections. From the vertical gardens of the Canyon Living Wall to the flora-filled Fernery, each collection provides unique green spaces for employees and visitors to learn and be curious. The Spheres feature a vivarium– a living wall / aquarium hybrid that keeps freshwater critters under semi-natural conditions. Explore some of the highlights of The Spheres’ plant collection in the gallery below. One of the living walls on the 4th floor is inhabited by pitcher plants. These carnivorous plants have modified leaves filled with water and enzymes to digest their prey. The Fernery is filled with cloud forest plants from Asia and Africa. These plants were chosen because they thrive in a climate that is comfortable for people. The Canopy Walk oversees the forest of the 7th Avenue sphere. This includes Rubi, The Spheres’ largest resident. 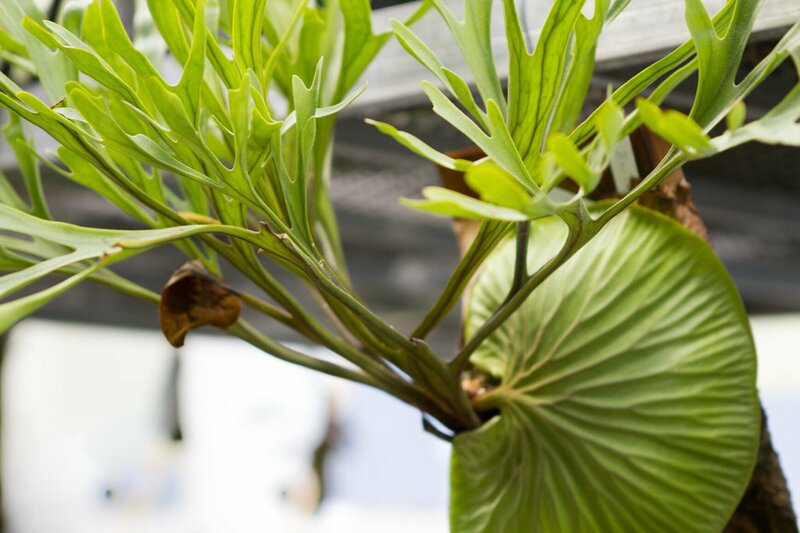 The Spheres welcomed an Australian Tree Fern from the UW Botany greenhouse as its first plant.